If you are a business that has company car, van or other vehicles deployed within the company, no doubt the tragic story of the bin lorry driver who failed to declare his medical history to his employers, Glasgow City Council, will be of interest to you. The driver didn’t state that he had an history of fainting on job application forms or DVLA forms and went on to kill six people, just before Christmas last year. He hasn’t been prosecuted for his actions but the council are in the process of undertaking a disciplinary hearing but he is currently too ill to attend. How Do You Ensure Company Car Drivers Are Honest About Their History? Many businesses employ staff who need to drive a company car or other vehicle and once the medical history forms are completed and signed they are often filed away neatly in the employees HR file. Which was possibly the case with the bin lorry driver. As many people are desperate for employment, it will come as no surprise that not declaring things like medical conditions or criminal convictions can be an issue due to the fact that people don’t want to disclose information that may result in them being deemed as unsuitable for the job. Drivers are required by law to declare any disability (physical or medical condition) to the DVLA and company car drivers are no exception to this law. Read more here. But how as a company do you verify and manage this process apart from trusting what the company car driver tells you? Education – It might not seem the obvious answer, but by providing training on the impact that not declaring medical conditions can have, could actually make people realise the importance and also make them reconsider if they have any conditions that they need to declare, they might actually not realise they need to tell you about certain things. Medical Assessments – From a questionnaire to a full blown medical assessment, this process will hopefully highlight any past or present medical conditions that could cause an issue when driving company cars or other vehicles. 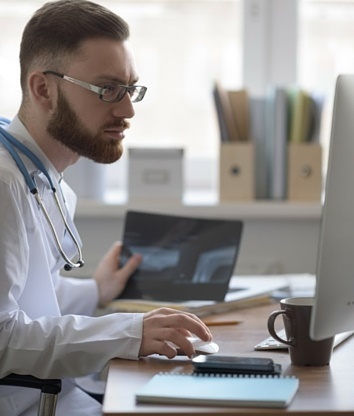 Access To Medical Records – We know this can be a timely exercise and comes at a cost but you can write to the relevant person’s GP (with their consent) to ask if they have any conditions that will affect them driving a company car. Declaration – Make sure that your company car drivers understand what they are declaring and signing and what action will be taken if they are found to be untruthful. We know these measures can be costly and take time, but in the long run will protect both your business, company car drivers and other individuals and we’re sure this whole process is costing Glasgow City Council a lot more than the cost of training, medical assessments and accessing medical records.